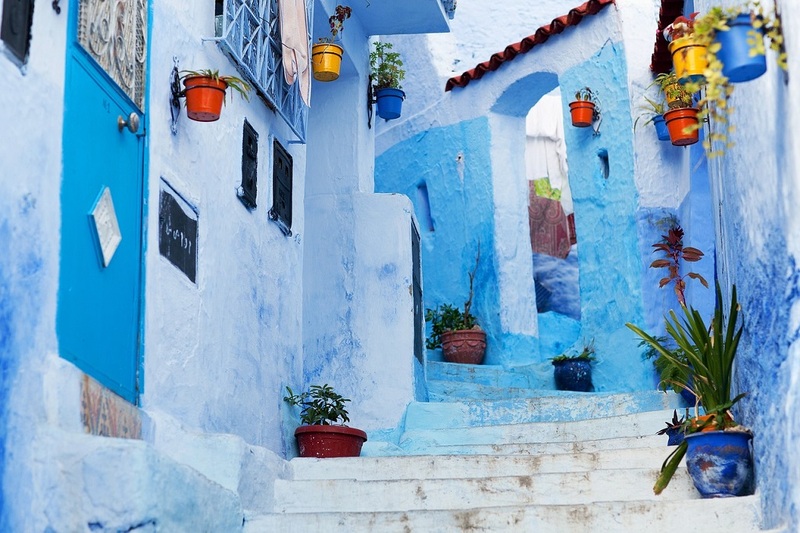 Morocco’s Imperial Cities and Desert – The Great Canadian Travel Co.
Morocco. The name itself conjures up visions of ornately carved palaces and mosques; red, brick buildings and pale blue washed houses; intricate labyrinths of alleyways and market stalls beneath red canvas. The Imperial cities of Fez, Meknes, Marrakesh and Rabat were all, at some point in Morocco’s history, the capital of the country, with Rabat holding the current title. 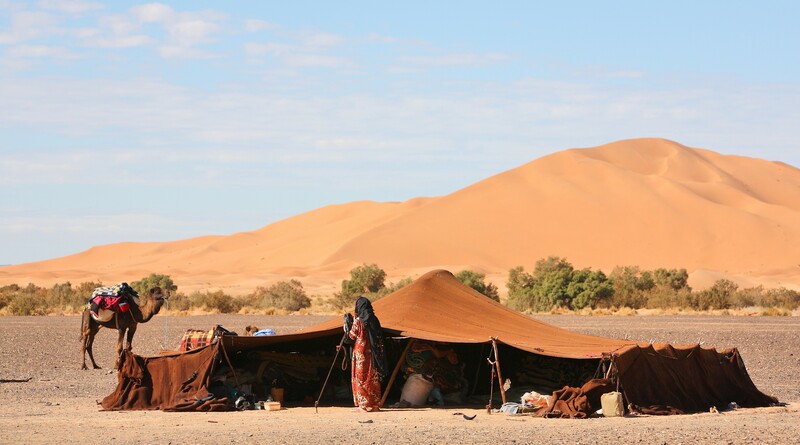 Out in the desert lands the Berbers still live as they have done for centuries and camels are still critical for transportation. Prices are shown in US$, per person, based on two people sharing a twin room and one person in a single room. The number of people sharing a vehicle is 2-3, 4-6 or 7-14. 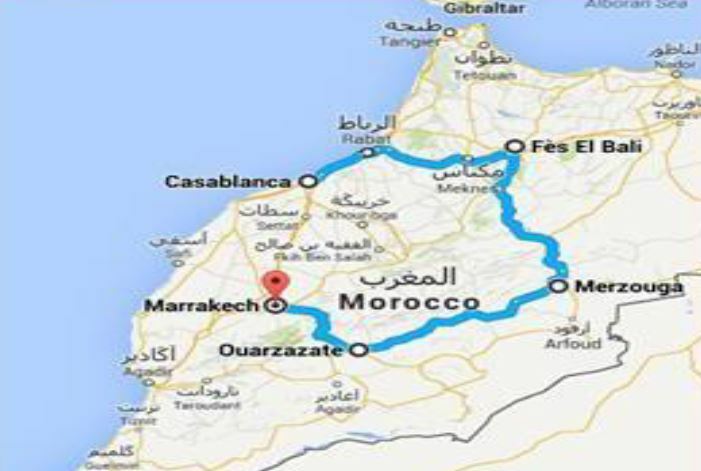 Upon arrival to Casablanca, you will meet your driver who will then transfer you to your hotel for check-in. The balance of the day is free to explore or just relax. Your driver or hotel desk can give you suggestions on nearby things to see and do. 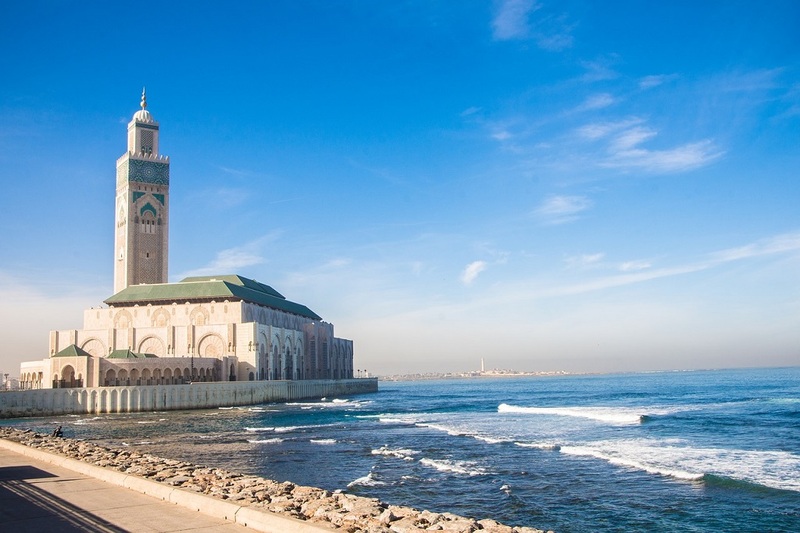 After breakfast at the hotel, you will depart on a Casablanca city tour. 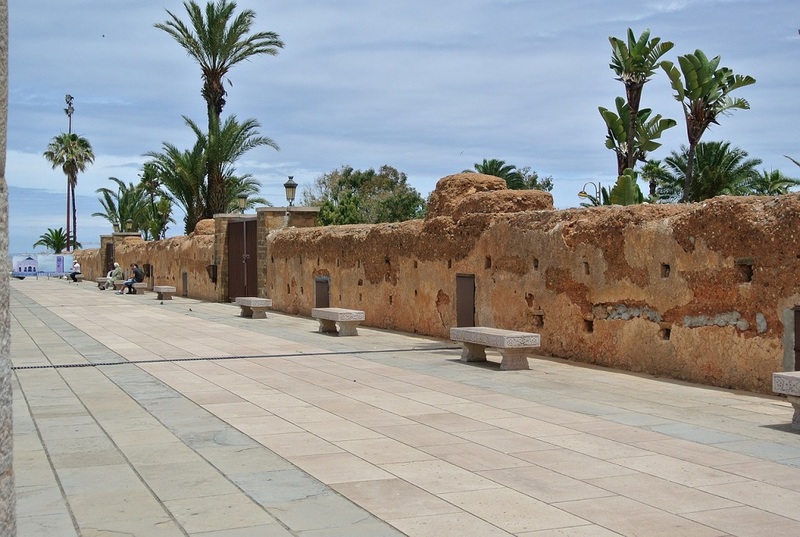 You will receive a panoramic tour of the city’s most important sites such as: Mohamed V Square, United Nations Square, the Cathedral of Notre-Dame of Lourdes, La Comiche or the promenade and the outside of the famous Mosque of Hassan II. 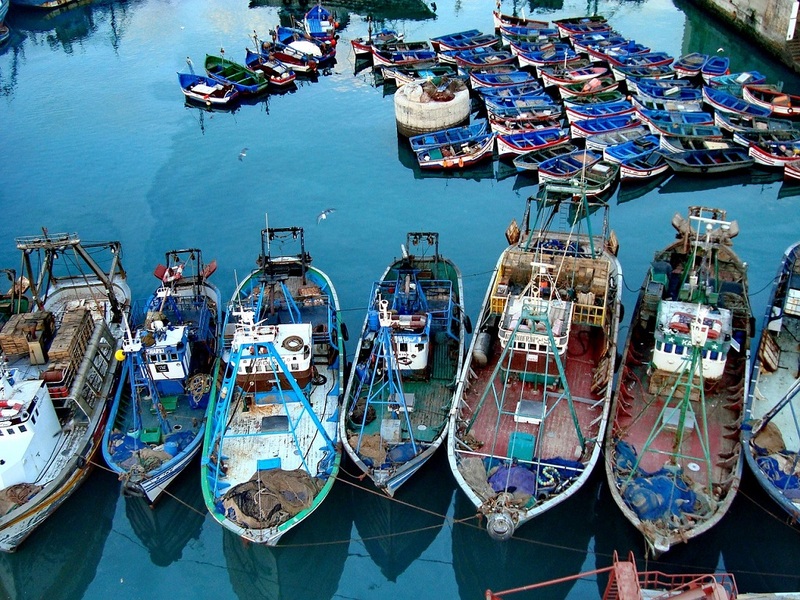 From Casablanca you will continue on to Rabat, the capital of Morocco and have a city tour. 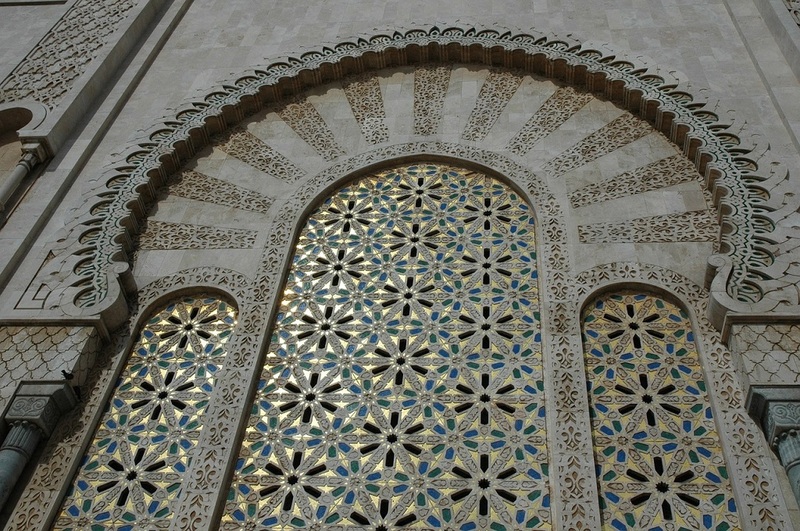 You will visit the mausoleum built in honour of Majesty Mohamed V, built in white marble, cedar and decorated with bronze. You’ll also see the mosque and the Tower of Hassan, with its 200 columns and minaret built of pink stone. Continue on to Meknes, known for its palaces, majestic wall and the bastions next to its monumental doors, which give the city a great aspect.The tour concludes with a visit to the mausoleum of the Alauita king, which is constructed of stucco and white marble. 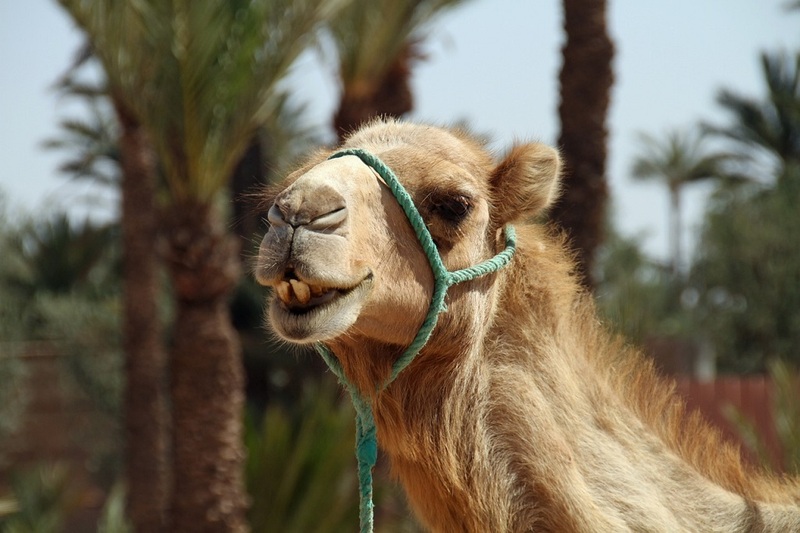 Drive on to Fez and check in to your accommodation. Today will start off with breakfast at the hotel followed by a tour of this historic city, one of the Imperial cities in Morocco. Fez is considered to be the religious and cultural center of the country and its university is known for the study of the Arab language and the Muslim religion. The city is divided into three zones: Fez el-Bali (the Old City inside the walls), Fès el-Jdid (the new city where Mellah, the Jewish neighbourhood is located), and la Ville Nouvelle (the French area in the northeast of the city). 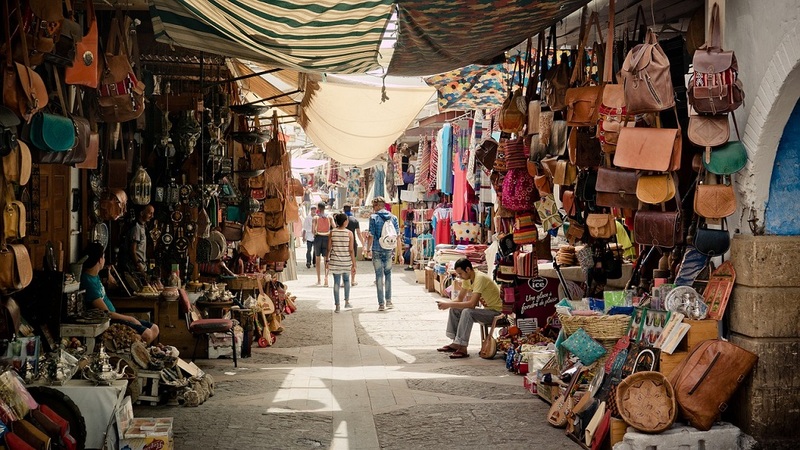 The Medina of Fez el-Bali, the biggest one in the city, is the biggest pedestrian area in the world and was declared a UNESCO World Heritage Site in 1981. 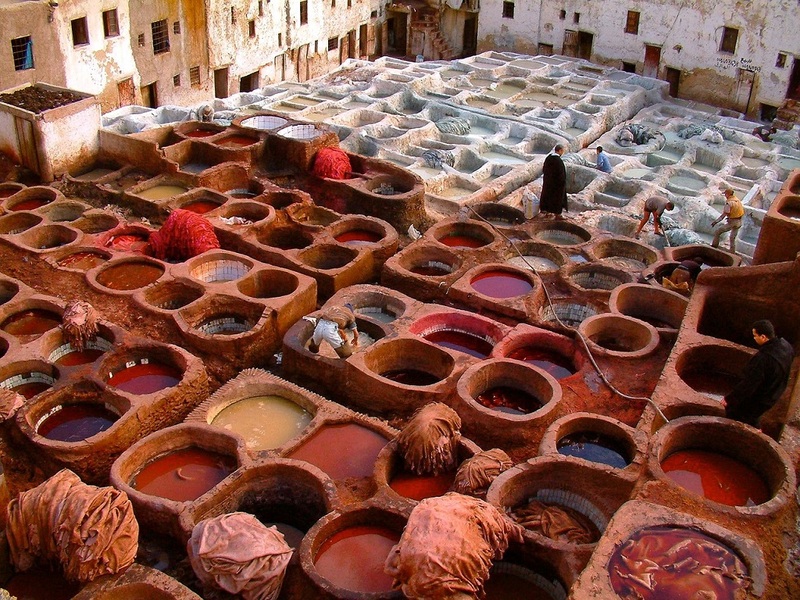 During your visit in Fez you will discover many hidden treasure such as the monumental doors of Bab el Boujloud, the Royal Palace, Mellah, the special market, the meat curer, the zoco traditional houses and the Fountain Nejarin. After your city tour, you have the rest of the day to relax and explore, as you wish. Following breakfast and check out you depart for Medio Atlas. The first stop today will be Ifrane, a small mountain village known by its sky station. There will be a short stop here to enjoy the panoramic views before continuing to Midelt, the Capital of Medio Atlas. This afternoon’s route takes us towards Errachidia, through the semi-desert landscapes and the first big coconut groves and up to Erfoud, capital of the regions of Tafilalet. This is where the Alaouita dynasty was born, which is currently governing in Morocco. 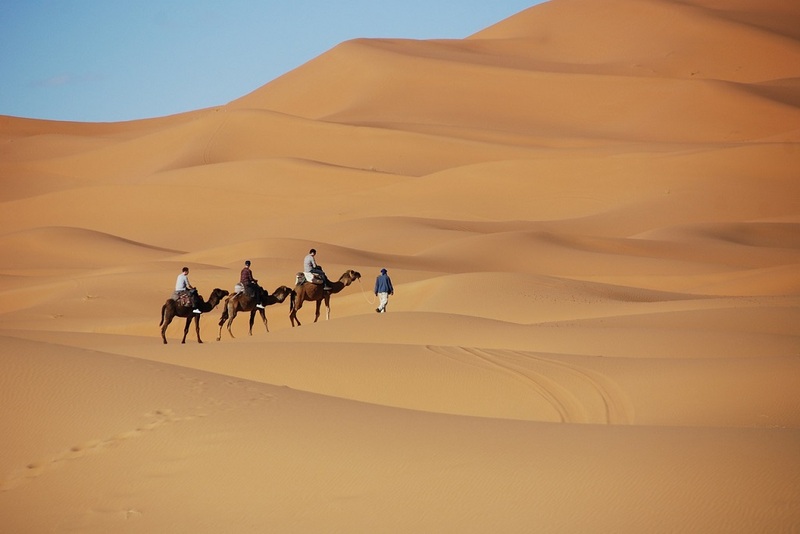 Continue from Erfoud on roads that lead to the sand dunes desert and transfer to the camp, where there will be time to enjoy the sunset with the option to book a dromedary ride. This evening you’ll be treated to a Berber dinner and local stories enjoyed around a campfire. Breakfast is taken today in the camp, with a departure after to Tinerhir, a huge oasis with a spectacular natural gorges of Todra, with vertical walls more than 300 metres high. Follow the Kasbahs route of fortress cities, made with red, sun-dried bricks and featuring four towers. Continue your trip to Kella M’gouna, the famous Roses Valley, known for its artisanal manufacture of perfumes and cremes. On to Ouarzazate for overnight. After breakfast you check out of your hotel and depart for the Kasbah of Taourirt, owned in the past by the last Pacha Glaoui. 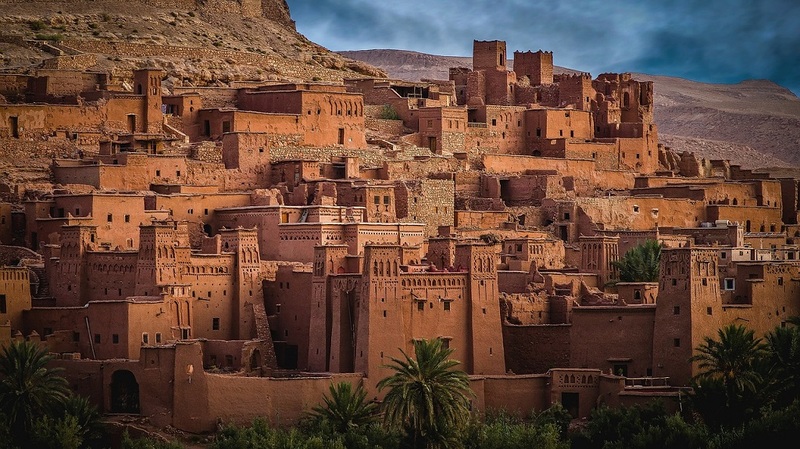 Continue towards the fortress city of Ait Benhaddou and visit the famous Ait Ben Haddou kasbah, declared a World Heritage Site by UNESCO. Following this visit you will drive to Marrakech, across the Tizi’n Tichka mountain pass, located 2,260 metres above sea level. Enjoy breakfast at your hotel before departing on a city tour of the beautiful, imperial city of Morocco. 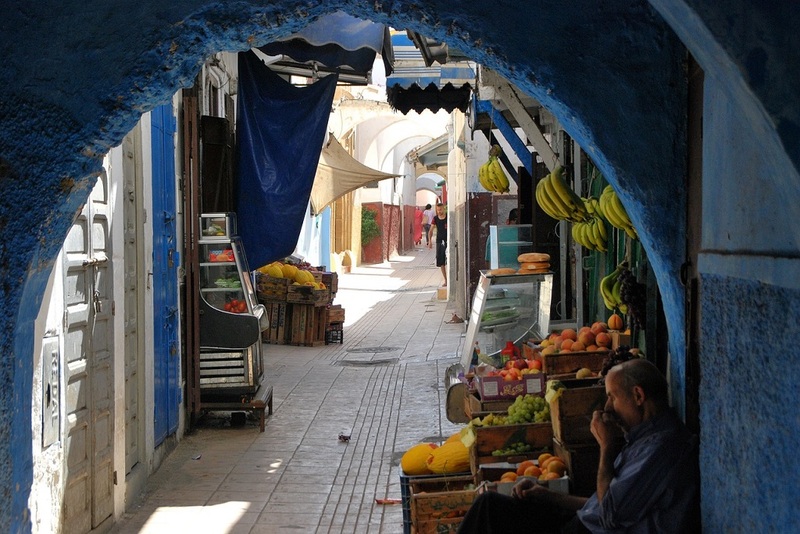 Discover and explore the streets of the Medina, the authentic heart of the city, formed by a labyrinth of narrow streets. 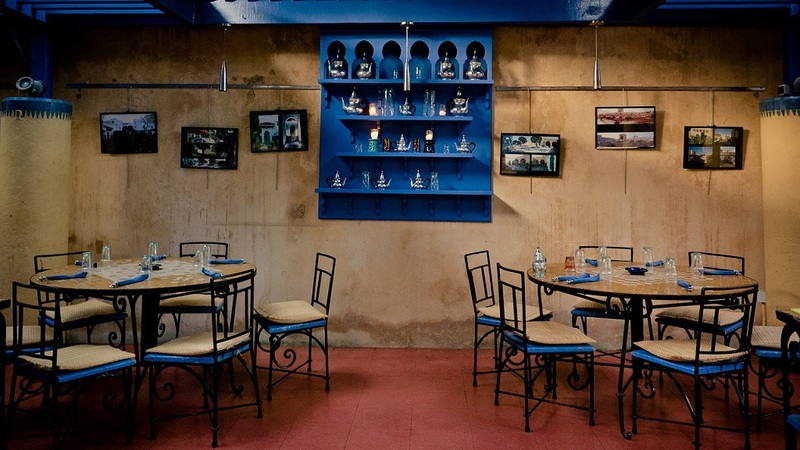 Soak in the mix of colours and sensations, including its red walls at the shadow of the centuries-old coconut grove. The city’s fascinating past is documented by several notable monuments such as Menara Gardens, Koutubia Minaret and the Saadians Tombs. 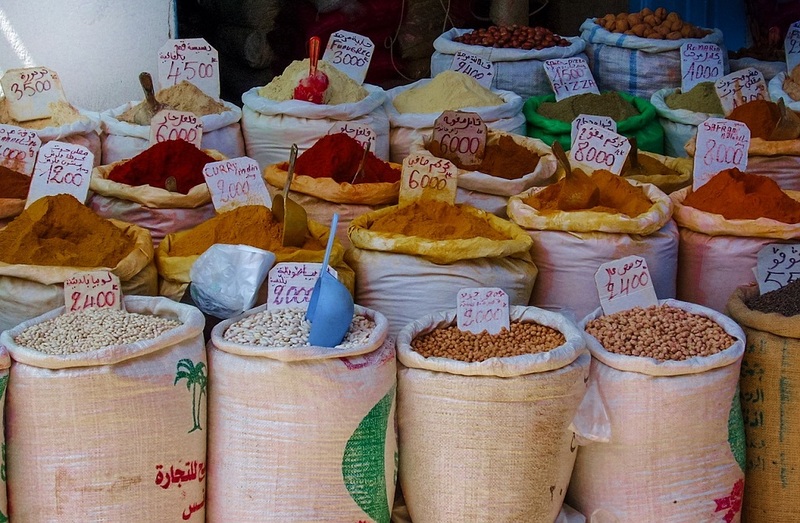 There is an optional lunch in a typical Moroccan restaurant in the medina, next to the famous Kjemaa el fna Square. After lunch continue the tour by visiting the Medersa Ben Youssef, a jewel of Islamic architecture, and the unique zocos, traditional Moroccan houses. Enjoy breakfast at your hotel before checking out and transferring to the airport. This ends the tour services, unless you have booked an extension.